It is never an easy task for a pet parent when it comes to choosing the right food for their beloved pet dog. It is because the market is flooded with dog food flavors and brands that all claim to be the best. One of the popular brands for both dry and wet dog food is Hill’s Science Diet Dog Food. The flavors and types of dog food offered by Hill’s are varied and numerous. The only way to understand what these types of dog food offered by Hill’s are to know more about their best-selling products. Why Choose Hill’s Science Diet Dog Food OverOther Brands? The specific needs of your beloved pooch are guaranteed to be met by the various types of Hill’s Science Diet dog food. It is because of the team of nutritionists, veterinarians, and food scientists involved in the creation and development of the dog food. This team of dog nutrition experts puts together various dog food packages that taste great along with the optimum balance of nutrients. Fat and salt are kept to the minimum to prevent serious complications from happening to beloved pets. To ensure the highest quality, the dog foods were processed in state-of-the-art facilities. Real animals were involved in the testing process that did not cause harm or distress. 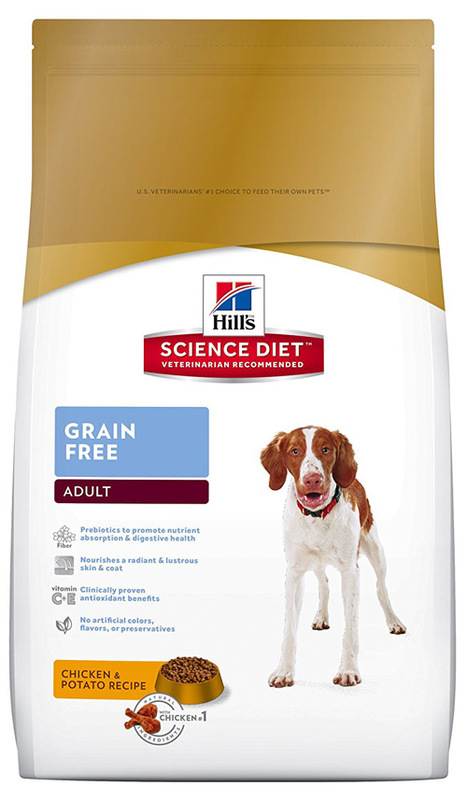 There are currently 76 varied products offered by Hill’s Science Diet dog food. The dry foods varieties total 30, 16 kinds of dog treats, and 30 canned foods. Dr. Mark and his wife Louise Morris are the founders of Hill’s company. The inspiration to start a company involved with pet nutrition began when Dr. Mark was asked to help cure a seeing dog suffering from kidney failure. Examining the dog made Dr. Mark arrive at a diagnosis of poor nutrition as the chief cause for the kidney condition. With this, he created various kinds of foods intended to improve and maintain the health of the dog. This led to the first product called Raritan Ration B. The Hill Packing Company was awarded the license in 1948 to produce the pet formula created by Dr. Morris. This led to a partnership that would eventually result in pet nutrition by Hill. The Hill’s Science Diet started in 1968 when Mark Morris Junior saw the rise in demand for high-quality dog food. This particular line was distributed to numerous veterinarians and pet professionals as a way to build the line. In 1976, Colgate-Palmolive bought Hill’s Pet Nutrition. This purchase paved the way for Hill’s products to become available throughout the world. The company’s ultimate goal has always been to provide compassionate care for pets through good nutrition. This creed has established a strong foundation of veterinary medicine. 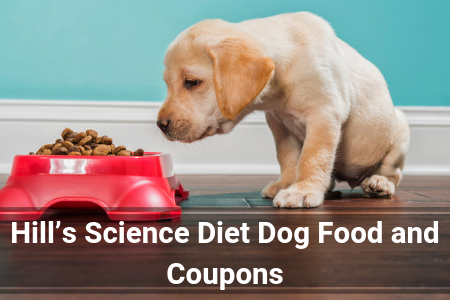 What Are the Coupons Offered by Hill’s Science Diet Dog Food for 2018? Most specialty stores and pet food chains carry Hill’s Science Diet products. Online pet retailers also sell the products. There are times that Hill’s Pet Nutrition offer coupons. The best way to find out if they offer coupons is to visit their official website. Special offers are offered to pet owners that register their email address with their official website or connect with them through various social media platforms. Individual retailers often offer Hill’s Science Diet dog food coupons when a purchase is made through them. The Different Kinds of Dog Food Do They Offer? 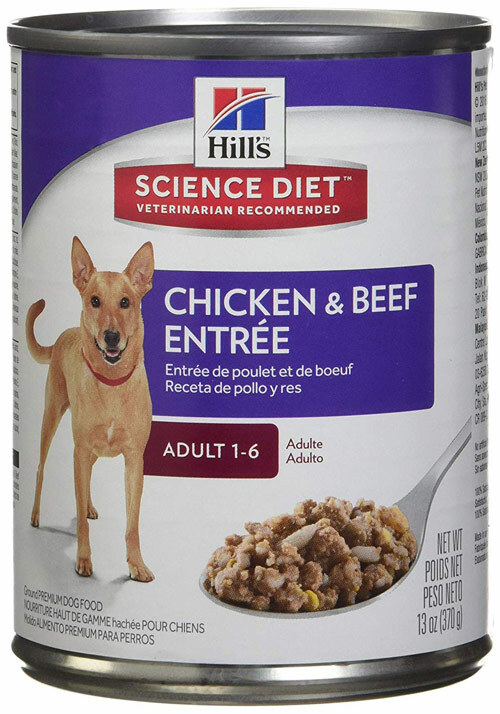 There are varieties of dog food options offered by Hill’s Science Diet. There are dry, wet, and treats to choose from to provide the optimum nutrition for dogs. There are varieties of dry dog foods that are specifically made for different breed sizes and life stage. These dry dog food varieties also target issues such as food sensitivities, weight management, mobility, and growth. The wet dog food options are found in the canned version. The delicious stew recipes of the canned variety have become popular as well along with the dry varieties. There are currently 30 varieties of dry dog food options from Hill’s that are meant to provide the right nutrition for different dog breeds and life stages. There are no separate product lines but, rather, groupings according to the size of the breed and life stage. There are 30 varied recipes for the canned dog food line from Hill’s. These include healthy cuisine, stews, perfect weight recipes, meaty entrees, and light recipes. Adult dogs between the ages of one and six are the age groups that need advanced fitness. The Adult Chicken & Beef Entrée dog food from Hill’s contains the right amount of high-quality protein and nutrients to maintain a healthy weight as well as promoting lean muscle mass. It is naturally flavored and easy for dogs to digest. Beef, chicken, and water are the main ingredients for the recipe. The inclusion of fresh meat is meant to give crucial amino acids to the dog. Beef by-products are also included in the recipe as supplementary proteins. The flavor, protein, nutrients, and fats provided by pork liver are good. However, the addition of beef by-products is hard to estimate since its quality is not stated. The gluten cornmeal is another questionable ingredient. Including this in the recipe can readily trigger food allergies. Other than that, there is no nutritional value for it to be made a part of the recipe. The use of artificial flavors, corn, artificial colors, and by-products are the things that pulled down the score of the canned Adult Chicken & Beef Entrée. The absence of probiotics also contributed to the downside of this particular recipe. The grain-free formulation of this line is ideal for dogs ages one to six that are allergic to grain products. The probiotics included in the formula guarantees fast absorption of nutrients resulting in better digestion health. Healthy and radiant-looking skin and coat are helped with the rich antioxidant content. The chicken meat included in the recipe is good for it is a good source of protein.While the process of drying chicken meat contributes more protein volume (around 300%) than fresh meat, the carbs content also falls behind, making it hard to see just how much protein content this food gives. Another downside is the huge amount of pea protein included in the recipe. Pea protein is a plant-based protein which does not add much-needed carbs to the diet. While it’s fine, the big amount is troubling. The Adult Grain-free Dry dog food needs a lot of changes before it can become one of Hill’s best products. The inclusion of chicken is very good. However, the cooking process also decreases its protein content. The protein supplement that comes from a plant-based source is troubling. The fats are low-quality and the absence of probiotics and chelated minerals counts against the recipe. As a pet owner, but as a consumer as well, you should always keep yourself informed about the products you are buying. This is especially true when it comes to dog food. Always take into consideration reviews from people who have used the product and try to asses if their situation matches your own and if they had good results. In general, Hill’s Science Diet is a very successful product that is cherished by many dog lovers. Also, take into consideration that this is a niche product and a prescription diet that is only applicable to certain dogs. The best course of action is to consult with your vet and see if Hill’s Diet is the best option for your dog. There is no such thing as the best dog food that will fit all dogs. Additionally, Hill's offers a wide range of products that have very different formulas, meaning that you need to be certain which product you are buying. If you can match the food to your dog, it is likely that you will ensure your furry friend's health and wellbeing for the foreseeable future. Failing to do research, in this case, will not only reap diminished benefits but could potentially be harmful to your canine. Hill’s Science Diet formula is very specific, meaning that it solves the issue it sets out to solve without making additional problems. Depending on which formula you use, you can help your dog’s kidneys, metabolism, or other health problems. This is a godsend when your dog starts showing signs of illness or old age. It can heal your dog completely, without resorting to more severe measures like surgery. Almost all reviews found online suggest that those pet owners who went through the process of consulting their vet and selecting just the right formula have seen incredible improvements with their dog. Finally, the best thing about Hill’s Science formula is that it focuses on general nutrition and health as well as on the specific problem it is solving. You will not need to sacrifice the dog’s muscle mass or the amount of vitamins and minerals in the diet as to protect your dog’s compromised health. The high specificity of the formula is a double-edged sword, as what is a cure for a single dog can be a totally useless batch of dog food for another. Pet owners who have used Hill’s either because of a wrong diagnosis or just picked out one on their own without consulting a vet had a bad experience with a product. It is critical to select the correct formula every time. This is not as easy as it sounds as Hill’s package design doesn’t inform you from afar which product you are buying. There are different colors and different dogs on the bag, but you haven’t connected burgundy red with dog fitness so far, and you probably won’t start now. While there are people, who can tell the difference between meringue, petal bloom, and fawn pink, the rest of us will need to read the package. In this case, it is best to consult your veterinarian before you purchase any product. There you will find out the exact formula you are looking for that combines high-quality animal protein, essential vitamins, minerals, and fatty acids, and exact proportions that will help your dog regain its health through its diet. Hill's Science Diet is quite sure to help your dog as it did many others, but you will need to avoid the mistakes of other dog owners and take your dog's health problems, including any allergies, into account before you buy. Is Hill’s Science Diet Dog food the best for your dog? The expert reviews and pet parents feedback included in this article is one of the best ways for you to find out if Hill’s should be your option. Don’t be swayed by rumor, only by facts. Remember, that an informed decision is almost always the best decision. 1 Why Choose Hill’s Science Diet Dog Food OverOther Brands? 3 What Are the Coupons Offered by Hill’s Science Diet Dog Food for 2018? 4 The Different Kinds of Dog Food Do They Offer? 6.7 What to Look after?